In this latest blog, Ian Townsend, Chief Executive of Bristol Green Capital Partnership, shares reflections on the annual summit of the Global Parliament of Mayors taking place in Bristol this month. This week saw the first ever Green Great Britain Week (15-19 October). 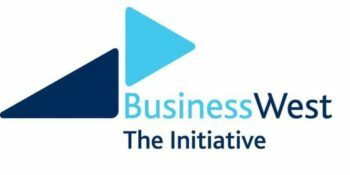 This gave Bristol an opportunity to celebrate our vibrant environmental sustainability and low carbon community, with a series of great events run by Partnership member organisations. And as the Week closes, more than 80 mayors, city thinkers and city networks from around the world converge on Bristol for the annual summit of the Global Parliament of Mayors (21-23 October). One of several global networks of cities that have emerged in recent years, visiting mayors will discuss a range of challenges common to cities – and how they can act together to address them. The Global Parliament of Mayors was envisioned by late Dr Ben Barber If Mayors Ruled the World, which saw a world run by mayors co-operating shared issues across borders. In his 2017 follow-up Cool Cities he argued strongly in favour of the power of cities to address climate change. This month’s influential report on climate change from the international scientific community therefore provides an urgent backdrop to this mayors’ meeting of minds. It warns that limiting global warming to 1.5C and avoiding the far more damaging 2C requires “rapid and far-reaching” transitions, in general but also in cities in particular. Cities across the UK and globally, are increasingly on the front line of the effects of climate change and at the forefront of action, because more and more people are living in cities and producing an increasing share of greenhouse emissions. Climate change action can be a win-win-win for cities. Not only does it help ensure human and environmental progress can be sustained. But done well it can open up both new economic opportunities and help to address social problems at the same time. GPM hosts Bristol has played a leading role on climate change and cities. During its year as European Green Capital, at the 2015 Paris climate talks we committed to become carbon neutral by 2050 as a contribution to global efforts. We’re making progress and the Partnership’s now 850+ member organisations are playing their part. By 2016, the city’s carbon emissions were down 35% from 2005 levels. 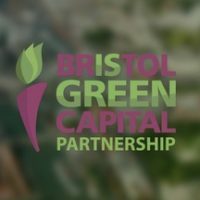 And Bristol is looking to quicken the pace towards the goal of running entirely on clean energy through the innovative City Leap, which Bristol Green Capital Partnership is pleased to be a partner of. The 1.5C report recommended a new target of net zero globally by 2050. 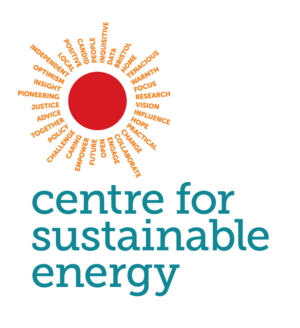 Following this, the UK Government this week formally sought advice from the Committee on Climate Change – which advises on greenhouse gas emissions – on a more ambitious national target. Perhaps Bristol’s experience so far working towards this target at city level might offer some useful insights into how Britain might achieve a similarly ambitious target. 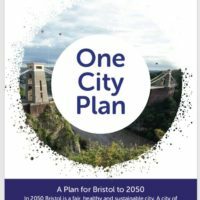 We have been supporting the development of Bristol’s new One City Plan and aligning the plan with the Sustainable Development Goals which have inequality – leaving no-one behind – at their heart. Combating climate change will be key to ensuring the kind of sustainable development that the Goals envision – the enhancement of the environment while achieving social and economic goals. With this in mind, Bristol Green Capital Partnership has made environmental equality one of our three strategic priorities for 2019-22. We look forward to developing work in this and our other priority areas with our members and others in the coming years. The Global Parliament of Mayors offers a space to share learnings on addressing challenges like climate change among cities and to look at innovative ways for cities to accelerate progress and equality across all three dimensions of sustainability – and act together to do so. We look forward to hearing what emerges from the annual meeting and future plans. The Global Parliament of Mayors is an international city leadership network that champions the role of mayors in solving key global challenges at local level. Other city networks from around the world – including C40, the network of the world’s largest cities (including London) committed to addressing climate change – will also participate in the summit to ensure multiple voices are heard and messages emerging from other networks’ programmes are amplified. 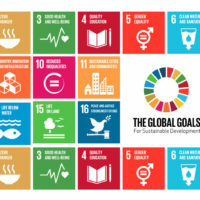 See more on the Bristol & Sustainable Development Goals work the Partnership supports here. 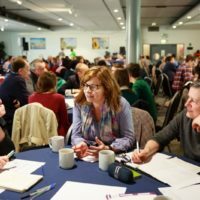 Bristol joined the Milan food pact, 176 global cities committed to food system change through local policy and action, in September.